Not an average airport hotel! Etrop Grange is an 18th century, elegant hotel with restaurant and comfortable en-suite bedrooms, some with four poster beds, just 2 minutes drive from Manchester Airport. This 18th century former coaching inn on the edge of the moors boasts great views towards Manchester and the Cheshire Plains, and offers an award winning restaurant with 2 AA Rosettes for its fine food. 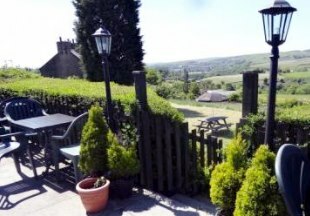 A traditional country inn with comfortable accommodation, good food and real ales, the Moorcock Inn is surrounded by gorgeous countryside at the foot of the Pennines, convenient for Rochdale, Heywood and Wardle. 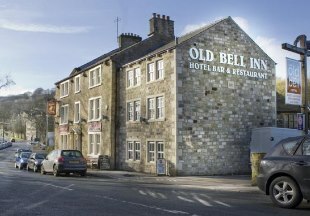 You will find this historic 18th century former coaching inn in the scenic Saddleworth village of Delph near Oldham. The exposed beams, open fires and original features lend this charming inn a warm and welcoming atmosphere. The traditional restaurant serves a seasonal menu and fine wines and real ales are available in the bar. 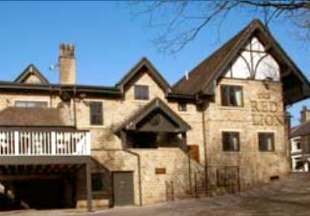 We are just 3 miles from the Peak District National Park and a 15 minutes drive from Oldham. The informal Red Lion has the feel of a country inn,with a restaurant and bar serving hearty local home-cooked food, complemented by a large selection of Daily Specials featuring fresh, seasonal cooking, and featuring eight individually designed en-suite bedrooms. The inn is set among stunning moorland and overlooks Holcombe Moor. It is centrally located for Bury, Bolton and Greater Manchester. Browse our selection of inns and hotels in Greater Manchester, including historic inns, country pubs, inns with award winning restaurants and even a hotel by Manchester Airport. So whether you are in the Greater Manchester area on business, or are looking for a inn in the countryside for a weekend break, check out our selection of hotels and inns below. "Outside the towns and cities of Greater Manchester you will find some stunning countryside. The moors are popular with walkers and ramblers; the White Hart at Lydgate and the Red Lion by Holcombe Moor are perfect bases for a weekend's walking." Greater Manchester is bordered by Cheshire, Derbyshire, Yorkshire and Lancashire. 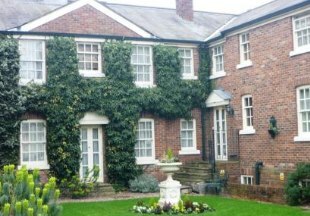 If you want to widen your search, why not browse through our selection of hotels and inns in Cheshire, Derbyshire, Yorkshire and hotels in Lancashire.